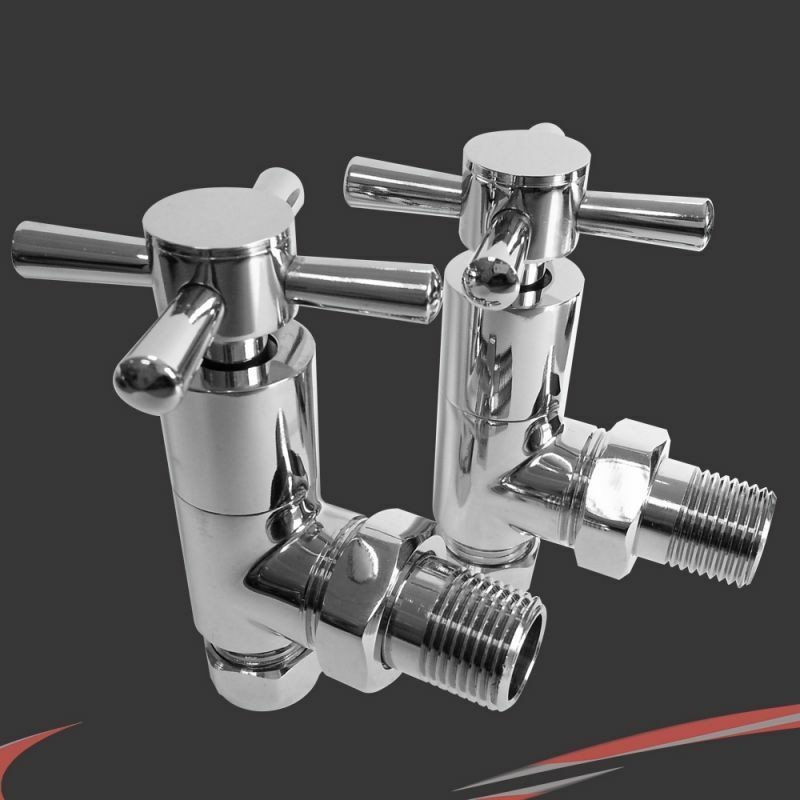 "Our Angled Chrome Crosshead Valve Sets are suitable for installation of your Traditional Radiator or Towel Rail onto your central heating system. The valves have standard 1/2 inch BSP threads and fit onto 15mm pipework. The brass base and chrome plated finish is robust and versatile and compliments a variety of products and colours."